Sunrise is getting later and later as the days go by. At first light an orange glow began to fill the bedroom. Drawing back the curtains revealed the approach of a beautiful sunrise. To witness it at its best meant a short walk to the memorial in Pier Road. There was no need to wrap up as the temperature is unseasonal. The exercise was most certainly rewarding. The Isle of Mull was covered by cloud. 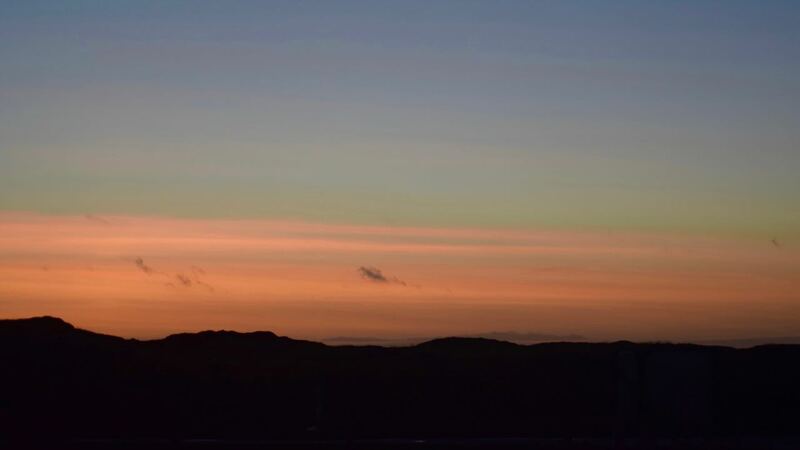 But all round the Isle of Tiree the sky was blue, red and pink. It did not matter which way you looked the sky was so colourful. 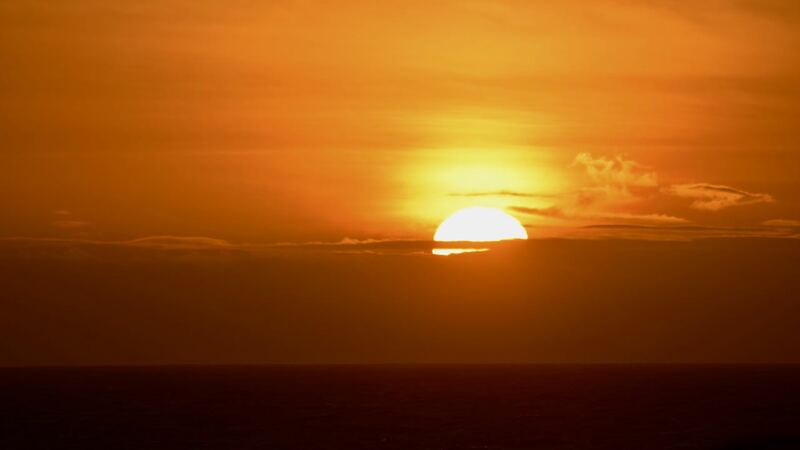 The official time for sunrise was 8:07. The cloud cover hindered seeing it rise over the horizon. 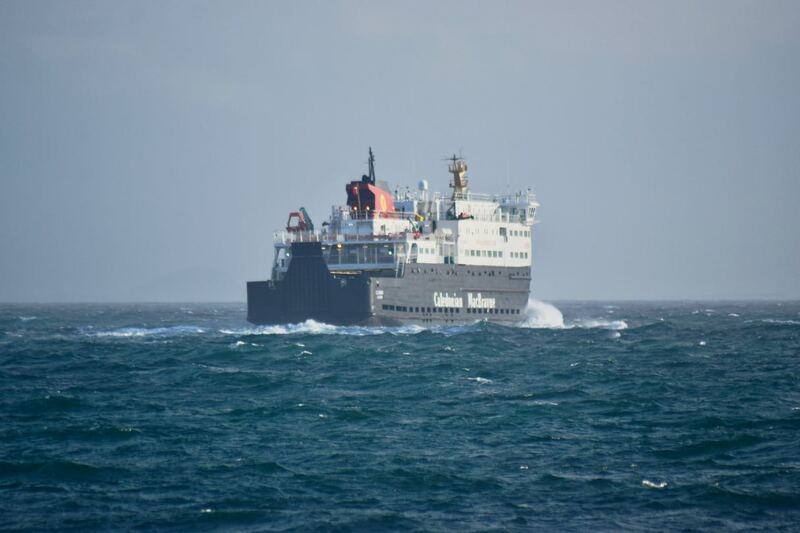 Thursday’s sailing from Oban failed to berth at either Coll or Tiree. 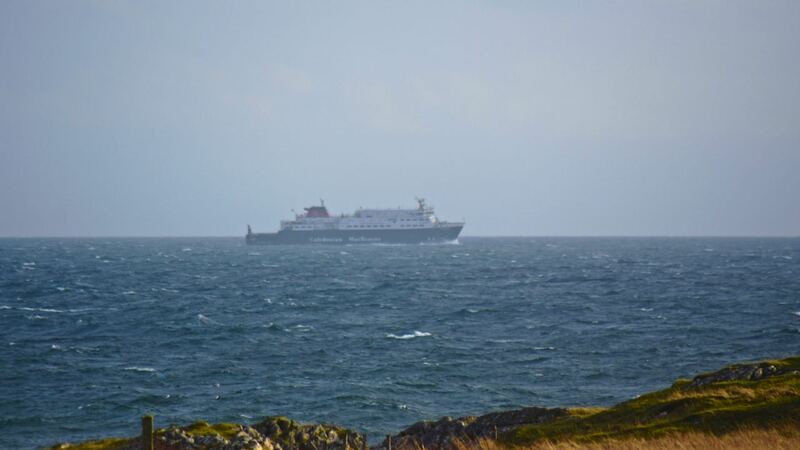 The ferry turned back when it left the sheltered waters of the Sound of Mull. With no sailing on a Friday would be travellers faced the prospect of a long wait. 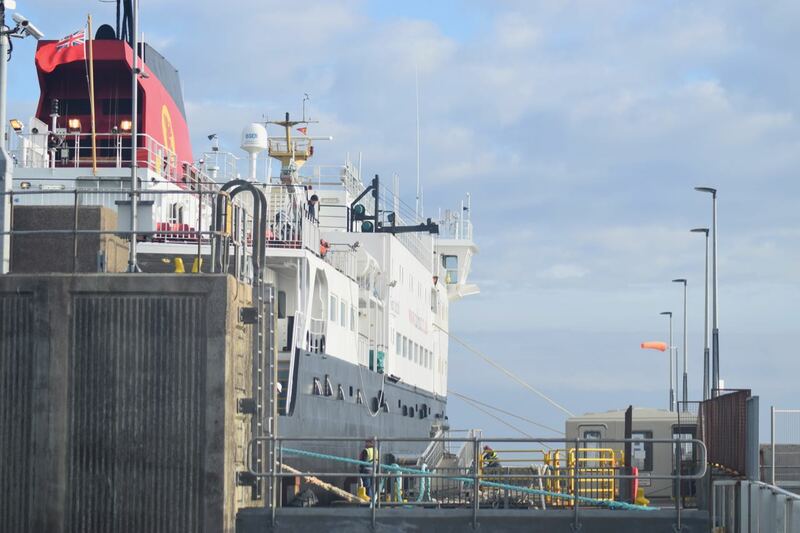 Thankfully the ferry operator CalMac have laid on a Friday sailing. More concerning is the cancellation of the postponed livestock sale. Sea conditions led to the cancellation of the original sale date. The 3rd of November was rescheduled for the 17th November. Now the forecast has led to this too being cancelled. Farmers are crofters will be concerned. 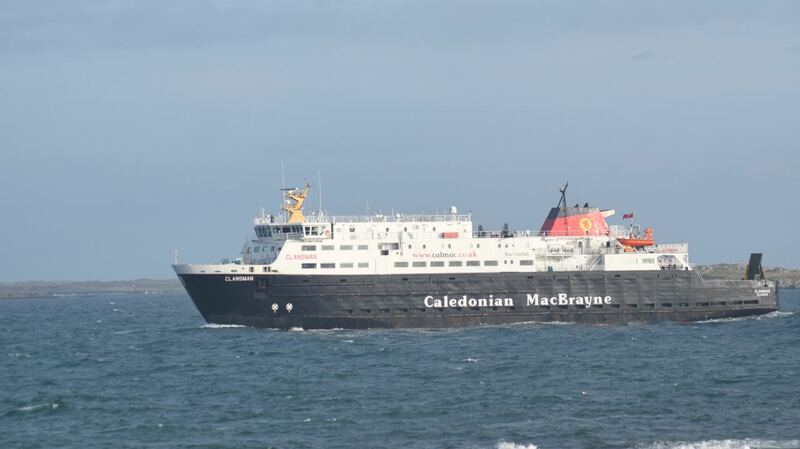 There will be the normal Saturday sailing from Oban to Coll and Tiree. However there will be no additional afternoon/evening sailing. Above a certain wind speed livestock are not transported. Farmers and crofters will be hoping the sale can happen very soon. 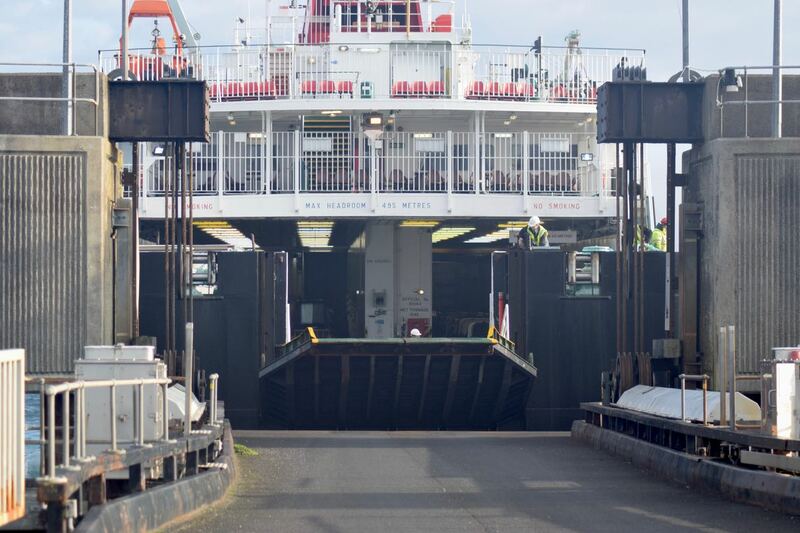 This requires a day when the MV clansman can provide 2 sailings. At this time of the year vessels go into dock for their overhaul. So there is less flexibility in the network. 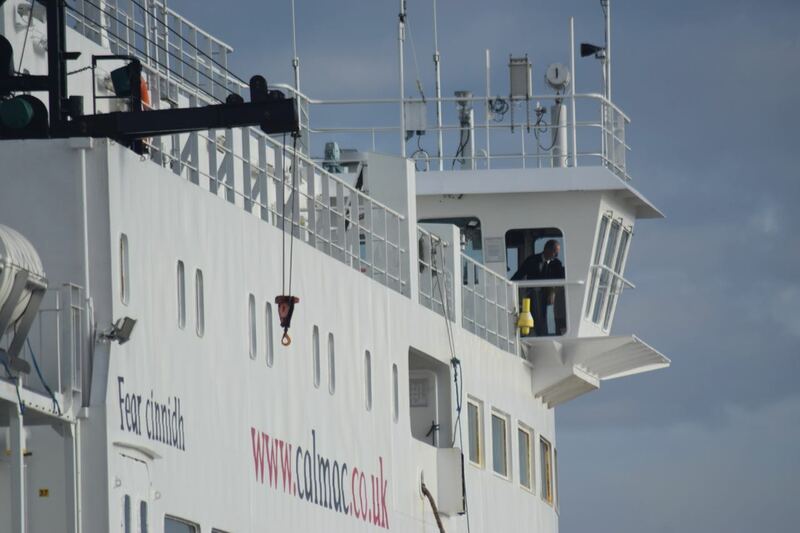 Today’s sailing was not to the MV Clansman usual timing. 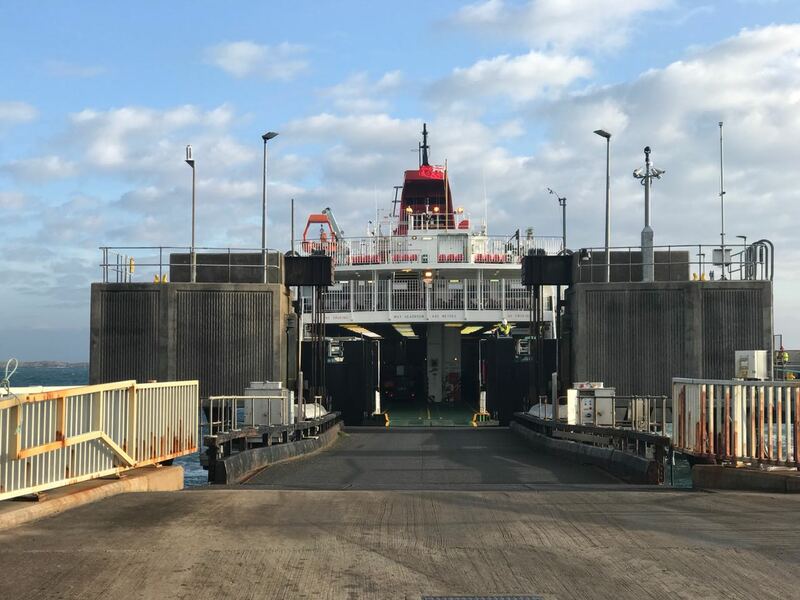 The times were more like those of the diminutive MV Isle of Arran. As a result the Clansman did not sail at her usual impressive speed. Even so she had to put off berthing before the advertised time because of conditions. 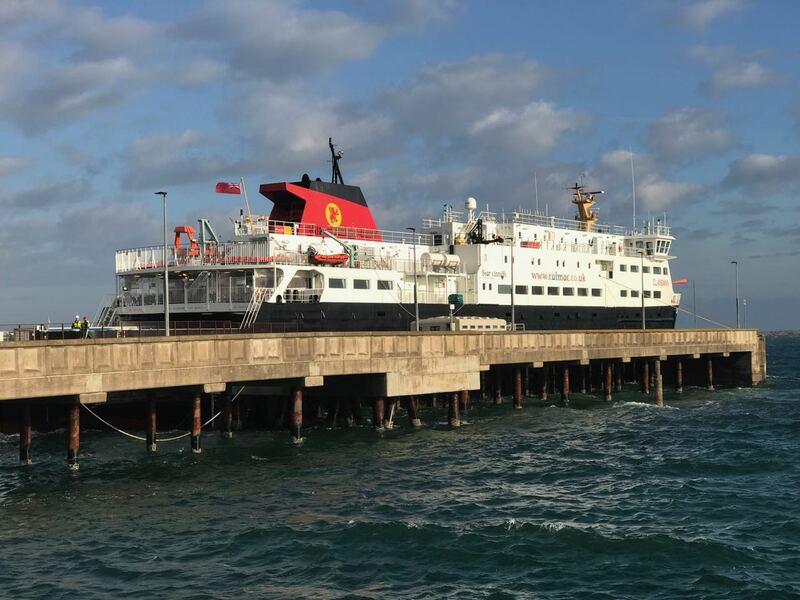 The Clansman was resplendent as she approached the pier. The winter sun was highlighting the port ship’s port side. With great skill she was brought alongside the pier. The effect of the wind on the vessel was evident. The tide was reasonably high and there was a swell running. The vessel was secured and the ropes cast. 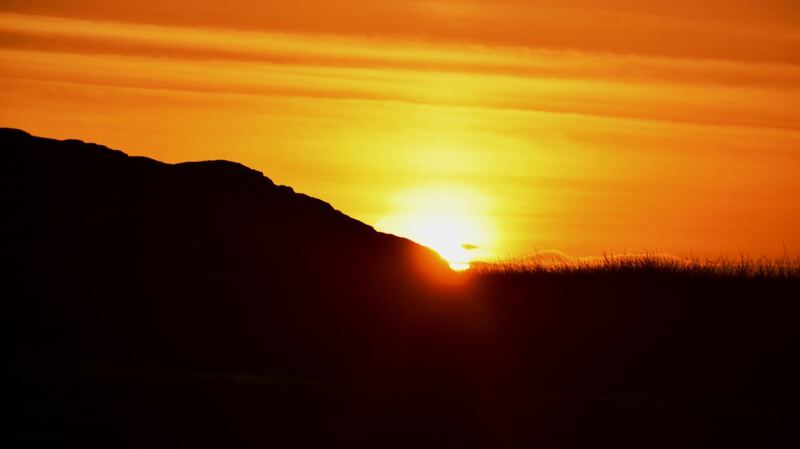 This is ‘Life on Tiree’.